The Al-Hadji and His Wives is a 50-minute film portrait of a Mbororo Fulani patriarch, Al-Hadji Isa, his savvy wives, and their rebellious daughters. The documentary provides a glimpse into their everyday lives, religious and moral practices, as well as the political opinions the Al-Hadji has to offer from his corner of the world. With a critical but sympathetic gaze, it also chronicles and investigates the process and rationale by which Amina, a 16-year-old daughter of the family, is forced into an unwanted marriage. Jie Li grew up in Shanghai and New York City and is currently finishing her Ph.D. in Chinese literature and film studies at Harvard University. 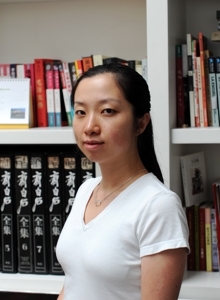 She has also published fiction and non-fiction in Chinese and English.